17 Gough Square was the home and workplace of Samuel Johnson from 1748-1759, and it was here that he compiled the first comprehensive English Dictionary. Tucked away behind Fleet Street, Dr Johnson’s House was built in 1700 and is now a beautiful example of the architecture of its time, having survived use as a hotel, a print shop and a storehouse in the 19th century. By the time the Liberal Member of Parliament Cecil Harmsworth bought the house in 1911, it was derelict. 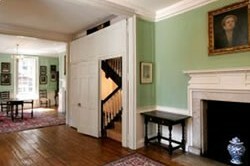 Harmsworth restored the house to its original condition and opened it to the public. Dr Johnson’s House is available for both corporate events and private parties, and is a popular venue for book launches, retirement parties, weddings and birthday celebrations. 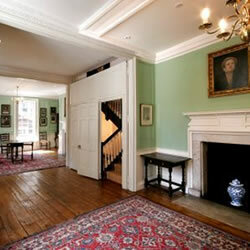 Dinners, buffets and drinks receptions are all enhanced by being set in this fine eighteenth-century town house. Hire is usually a 3 hour period from 6pm -9 pm or 6.30pm – 9.30pm but extensions can be negotiated.